Again, as part of its three weeks long activities marking its first 100 years anniversary in mission and evangelism, First Baptist Church, Ahmadu Bello Way, Kaduna, on Saturday visited and donated food items worth thousands to orphanage home and sick persons at General Hospital Kakuri. Blessed Touch Orphanage Home is located at Nissi Village, Maraba Riddo, Chikun local government while the General Hospital is located at Kakuri, Kaduna South local government area of the state. Receiving the evangelical team of the church led by the Chairman of the Centenary Anniversary Planning Committee (CAPC), Dcn Engr. 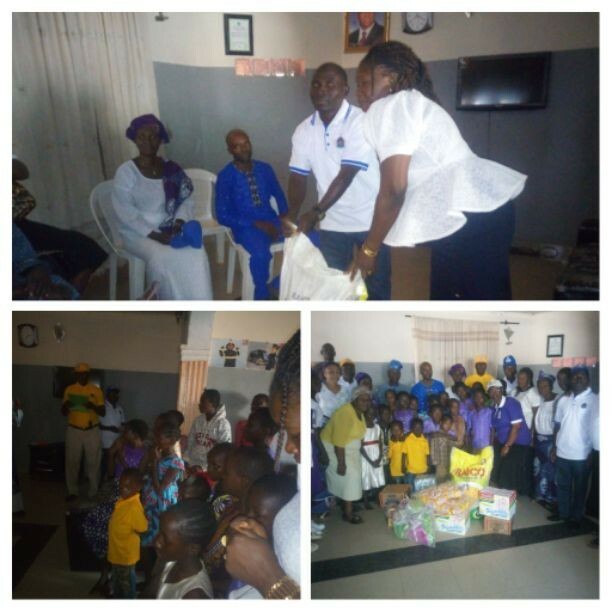 Rasheed Adeniyi Rufai, the Proprietress of the Orphanage Home, Mrs Victoria Adefunke Oriji thanked the team for selected her Orphanage for the visit and donation. “We really appreciate your coming. I’m so glad the church is celebrating its centenary and we are with you in prayer. “I’m happy to have been born and brought up in that church several years ago during Baba Akingbala. The church did my wedding and its members have been supportive in all I do and I’m grateful to God for all that. “The Lord will continue to move His church forward. I’ve always respected the church for its unity and I’m using this opportunity to tell every member to maintain brotherly love upon which the church was founded. Earlier, Chairman, CAPC, Dcn Rufai told the staff and children at the Orphanage Home that, the church was only extending its evangelism to the less priviledged in practice. According to him, “as part of activities marking 100 years of our church, we have decided to come here to celebrate with our children. “We thank God for the life of the mother and father in charge. We appreciate God for what you are doing. To the staff here, please do take care of these children. As a church premised on evangelism, we have been doing this over the years and we are trusting God to keep us and help us to do more in this regard”, he prayed.